“15 Now as I looked at the living creatures, behold, a wheel was on the earth beside each living creature with its four faces. 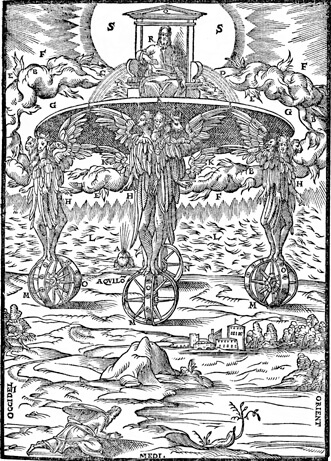 The highest angels in the hierarchy described in the Book of Enoch are Chayyot (Living Beings), Seraphim (Burning Ones), Kerubim, Ophanim (Wheels) and sometimes are mention along them the Galgallim (Wheels). We don’t know for sure if Ophanim and Galgalim are the same class of angels. Their names come from the Hebrew words Galgal and Ophan, which mean the same thing, wheel. [XXV](6) And all the Ophannim are full of eyes, and they are full of brightness; seventy-two sapphires are fastened to their garments on their right side and seventy-two sapphire are fastened on their left side. (7) And four carbuncle stones are fastened to the crown of every single one, the splendor of which shines out in the four directions of Araboth (the highest heaven) even as the splendor of the orb of the sun shines out in all the directions of the universe. And why is it called Carbuncle (Bara’qet)? Because its splendor is like the appearance of a lightning (Baraq). We don’t know for sure if it really refers to garnet. The hebrew word Bareqet was also translated as emerald and calcedony and is one of the twelve sacred stones in the breast-plate of the high Priest, and one of the symbolic stones in the base of the New Jerusalem in the Apocalypse. 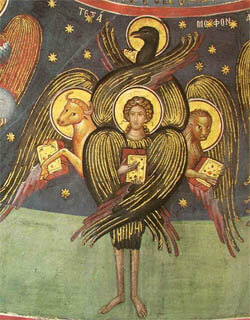 In Ezekiel’s vision, the bodies of these magnificent beings are likened to hyacinth, tarshish in hebrew. But neither this version is correct. Beryl might be more correctly attributed. In ancient times, green beryl was known in the region, or aquamarine brought from Spain, the old name of Spain being even Tasis. If it is so, we can conclude that the vision of these angels was a profound green, shining and transparent, like emerald and beryl. The vision of these angels is indeed terrifying. 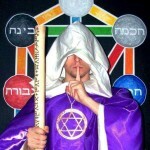 The Order of the Ophanim or Ophanic Beings as they are also called, are creatures highly luminous and powerful, and their place in the western hierarchies seem to be also in the first sphere of action, the third angelic order, and are called Thrones. 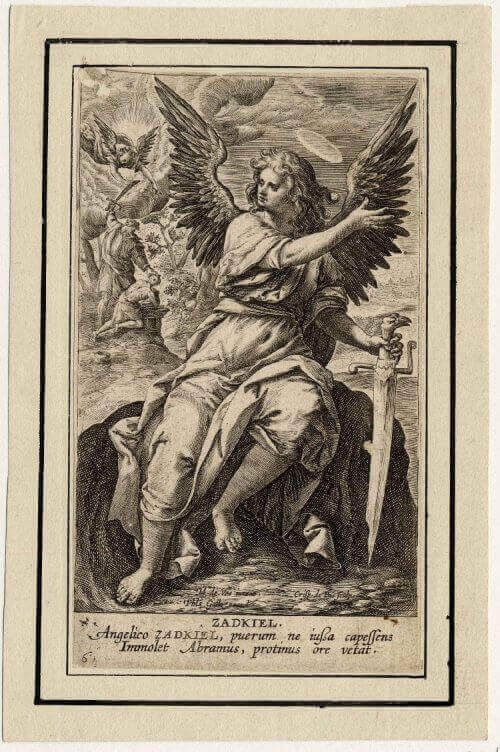 According to the hierarchies proposed by Pseudo-Dionysius and Thomas D’Aquino, the highest angelic beings are those from the First Sphere, meaning the first three choirs: Seraphim, Cherubim and Thrones. Their names are of course connected to the Throne of God that the text of Ezekiel makes reference. 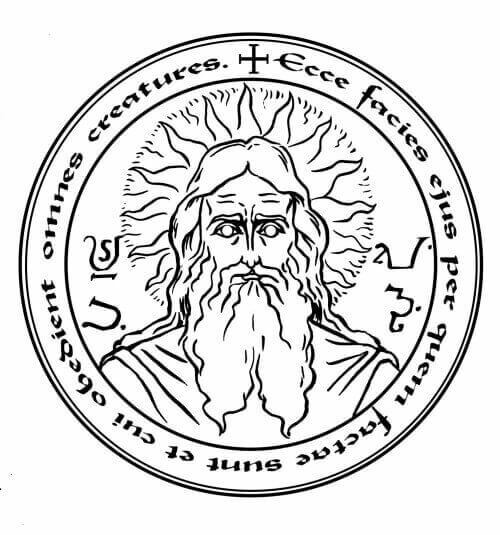 The same traditions have been taken by Blavatsky, Max Heindl and Rudolf Steiner, the traditional catholic order entering theosophy, antroposophy and rosicrucian cosmology. According to these teachings, the Thrones are also called Lords of the Flame or God-Bearing, representing the dynamic aspect of the Will of God, as bearing God in themselves. 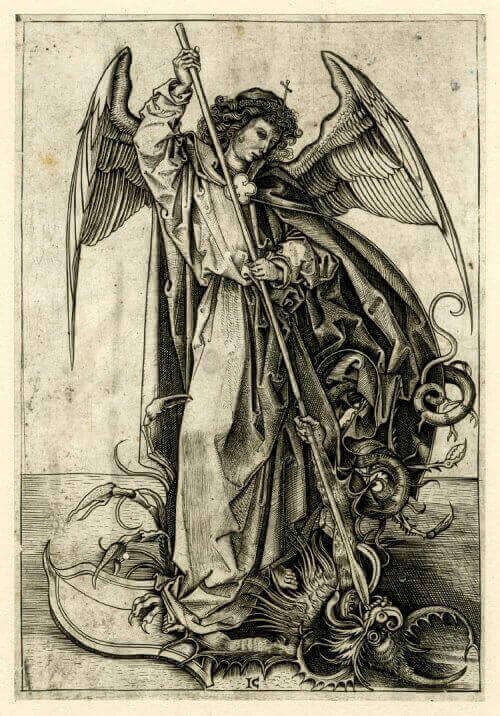 Rudolf Steiner believes that the Thrones were once entire angels, like the Seraphim, but they have sacrificed their substance to give birth to the physical worlds. 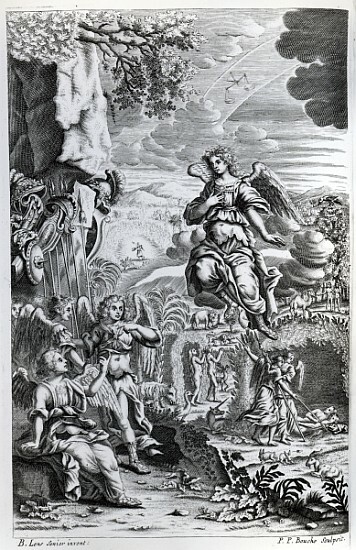 From this point of view, the entire matter in our Universe would have been, at the beginning, from the substance of the Ophanic angels. Many adepts consider that they are Lords of Wisdom and that they are the source of wisdom and knowledge as we know it. The truth is that many authors take information and add information, sometimes in contradiction, and about these beings it is not given to anyone to know and to pronounce upon. The Thrones or Wheels are still an enigma that man can understand only by lifting his heart to wisdom and loving the divine mysteries with all his being. Let us not forget that these angels, as great and powerful as they are, even among the other angels, are still humble servants to God.